The Dock Street Theater is the oldest theater in America. 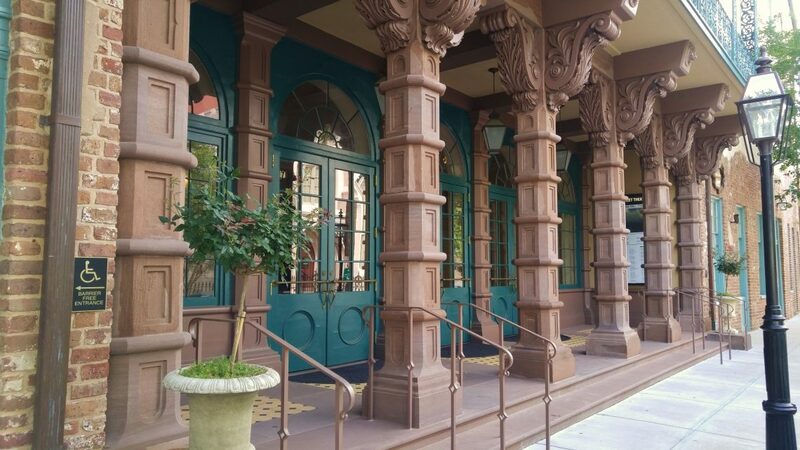 It’s a beautiful building, built in 1809 as an hotel, and the entry is guarded by these unusual and striking columns. 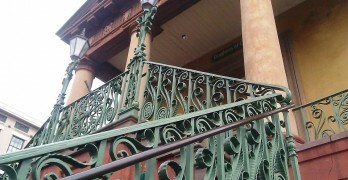 It’s located on Church and Queen Street.